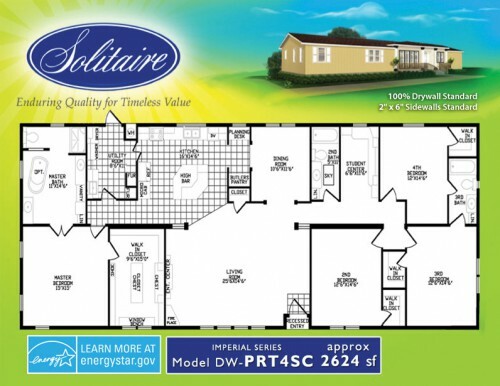 One very popular floorplan amongst our double sections homes for sale here at Solitaire Homes is the PRT4SC. The spacious design allows for some of the industry’s leading amenities to give you and your family the home of your dreams. Take a look inside and see the top three features to love in this PRT4SC double wide home review. 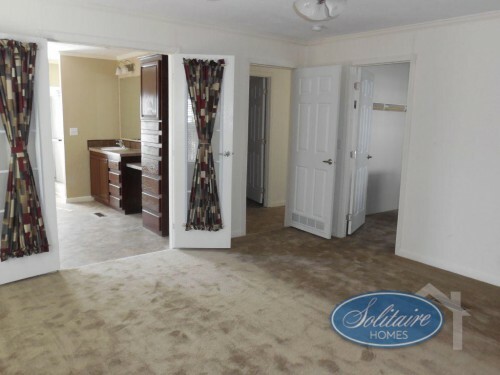 Check out the spacious PRT4SC Double Wide Homes! The PRT4SC is designed with four bedrooms and three bathrooms to make it perfect for the large family. Each bedroom will come with its own walk-in closet while the master even features a complete ensuite bathroom with dual sinks, a private toilet and shower room, and an optional soaker tub! The other two bathrooms will be located either in a more centralized location for easy access or directly connected to two of the other rooms to make it perfect for the kids in the family. Get four bedrooms and three bathrooms for the perfect family home! Of course in the kitchen, you’ll find beautiful cabinetry and high quality appliances, but this area comes with so much more! Enjoy the extra planning desk which is the ideal spot for making out your grocery lists or taking phone calls. And the addition of the Butler’s Pantry gives you more than enough space for all of our food storage needs while being out of the way in a conveniently located alcove. Enjoy the master bedroom and ensuite including a huge walk-in closet with built-in cabinets. We’ve already discussed the master ensuite bathroom, but this area will also have a huge walk-in closet complete with built-in cabinetry. This closet is a generous 9’6” X 15’0” to provide more than enough room for all of your clothing. Plus, the built-in window bench, shoe rack, and two chests make storing and locating everything a breeze. 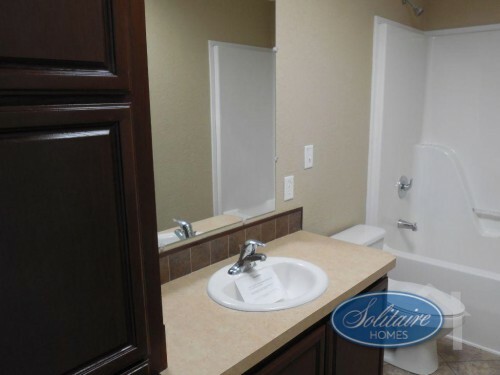 There are so many things for you to love about our our double wide homes such as the PRT4SC. Be sure to contact us to find out more or simply stop on by any of our locations to tour our amazing homes today!